Anime in general is pretty unique and vastly interesting when it comes to imagination and story-telling.A lot of anime are very futuristic, eccentric, bizarre, etc. When thinking about anime, not many think about the horror that can be created with these same genres in mind. If someone, like a friend, were to say “let’s watch something that’s in the category of Horror”, you would immediately think about movies, not really anime. Hopefully, that will change when you check out these selections of anime that are based on horror. 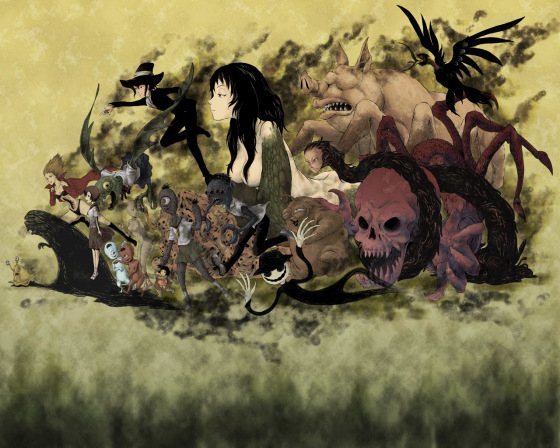 In this “Top 20 List”, you will find anime that has everything a horror story should have. For example, gore, tragedy, death, monsters, zombies, killers, etc. Get ready to clear your daily schedule, turn off the lights, invite some friends, and maybe have popcorn ready. Although, popcorn might be a bad idea, don’t want to create a mess or choke on a piece of popcorn. Now that would be scary! After Maebara moved to a new, quiet town of Hinamizawa, he spends most of the time in school living a carefree life playing games with friends. It is in this town that appearances can be deceiving. Stumbling upon some news one fateful day, he discovers a murder occurred in the very town he’s in. It is then that mysterious and horrific events begin to unfold in front of him, learning that his close friends may not be close at all. As stories take place in different scenarios, unbelievable events begin to take place in a very horrific way. This anime may seem cute at first, be it will have you hugging your pillow! 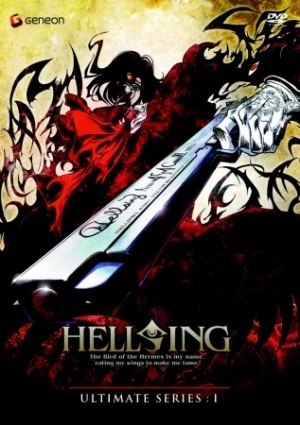 This anime follows the story of a vampire named, Alucard, and a police woman turned vampire who works for an organization that is known as Hellsing, a vampire extermination group of England. Alucard’s sole purpose is to search and destroy the threat of the undead and supernatural forces that seek to eliminate the Queen and the country of England. It is when the organization discovers the remnants of a Neo-Nazi group known as the Millennium, continues to exist in reviving the Third Reich with an army of vampires. 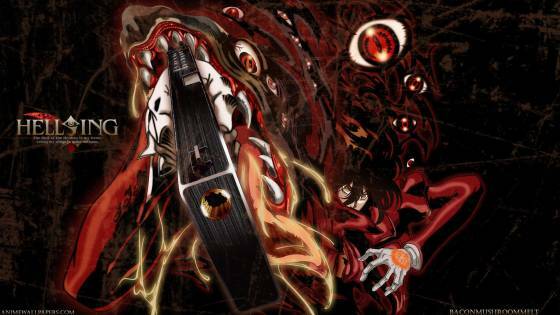 Little do they know that he war raging on is to seek revenge on Alucard from the very beginning! This anime is very good and I noticed that the anime came out many years ago. The anime series going on as I type is probably the best adaptation to the manga I can imagine. The anime follows a 17 year-old named Shinichi Izumi, who lives in a quiet neighborhood of Tokyo. One night, weird looking creatures begin to surface on Earth, host onto humans while taking control of their brains. They become known as Parasytes, and they enter through the nose or ears in order to control their host. One day, Shinichi encounters a Parasyte, but it was unable to enter his ear or nose and instead burrowed through his arm. Preventing it from traveling further into his body, he contained it in his arm and began to restrain its influence while being able to develop a strong bond and work together. Thus, helping Shinichi keep his untainted brain from being hosted by other Parasytes as he struggles to survive. 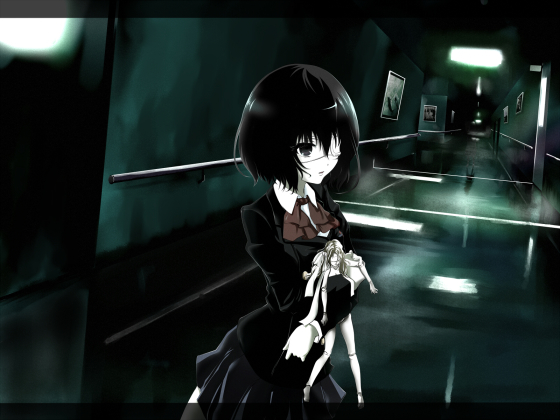 This anime contains a number of short horror stories that are both scary and influential. 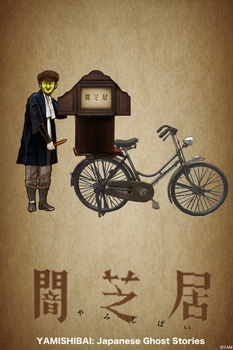 The anime follows a character only known as the Medicine Seller, and follows a storyline similar to Mushishi. The Medicine Seller encounters spirits called, Mononoke, and sometimes fights them to the point of destruction. He gains knowledge by learning their name, truth, and reason for existing in the world. So he can exorcise the demon back from whence they came. It’s kind of hard to describe this anime without spoiling the series entirely. But, I assure you, its worth watching! 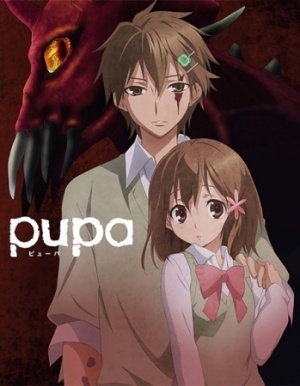 This is a great horror anime! Even though it’s a short four-episode series, it is memorable. It was originally a game, then turned into a manga, and then an anime. The process of transitioning from one category to the other in sense of media type, shows how popular this title was and yet, not many people know about it! 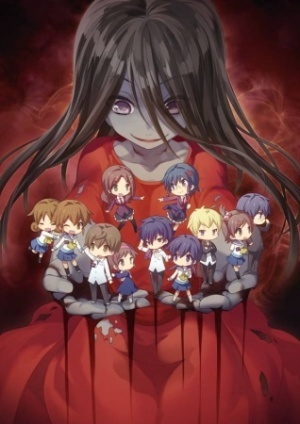 The story takes place at an elementary school called, Heavenly Host, which is torn and destroyed due to occurring murders and disappearances of several staff and students of the school. 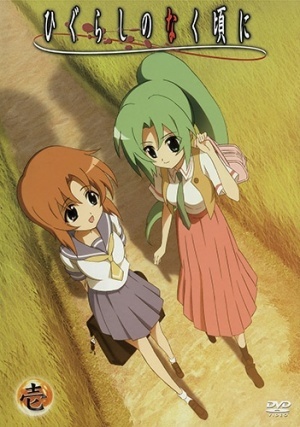 As time goes by, another school called Kisaragi Academy, is constructed on the same grounds of the Heavenly Host. 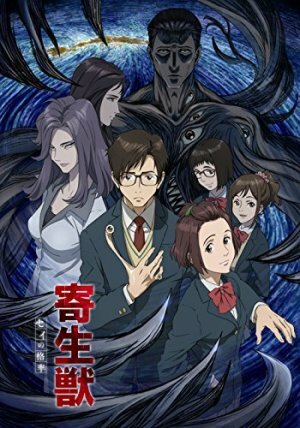 One night, a group of students begin to tell ghost stories when an earthquake begins and suddenly transports the students present at the time to another dimension. In this dimension, Heavenly Host still exists and is haunted by ghosts of the murdered students once enrolled there. This anime is pretty good. Its full of crazy encounters and lots of unsettling situations that would make a normal person go insane. 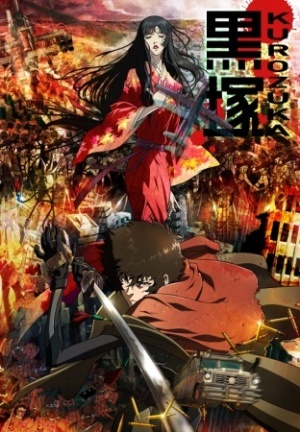 This anime takes place during the Bakumatsu of the Edo period where a young writer named, Monosuke, begins to do research for his next project of writing a book that contains 100 ghost stories. While doing research for old myths and legends, he comes across a very mysterious group of three characters who call themselves the Ongyou. This group claims to be detectives who investigate the truth behind the legends in order to bring those doing wrong to justice. Every time Monosuke crosses paths with the Ongyou, he faces the horrible truths and must battle his morals while seeing things no one should see…. 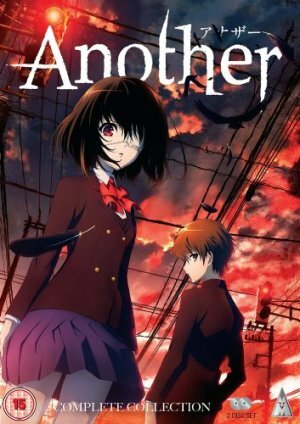 This is another great horror anime to watch. 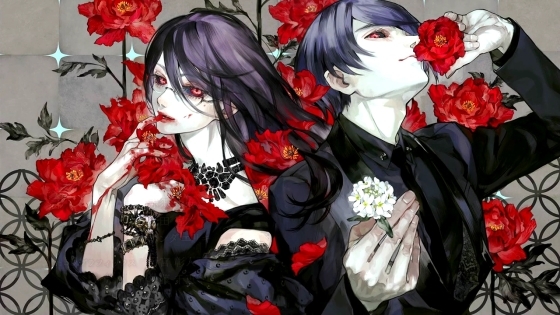 The story follows Ken Kaneki, who survives an encounter with a woman who is later revealed to be a ghoul. Ghouls are human-like creatures with a hunger for human flesh who hunt and devour anyone crossing their paths. The woman critically injures Kaneki sending him to the hospital. After undergoing surgery and recovering from the hospital, he learns that some how, he has turned into a half-human/half-ghoul. Needing to eat human flesh in order to survive he seeks help from those like him to teach him how to deal with living as a ghoul, interact with others in the ghoul society, and how to keep his identity a secret from other humans around him. This anime takes place in 1972, where a student named Misaki unexpectedly died halfway through the school year. As students and teachers were devastated by the sudden death of Misaki, they continue on with their lives believing Misaki is still alive which leads to a strange presence in the graduation photo. Forward into time, Spring of 1998, transfer student Sakakibara meets Mei Misaki and is seemingly ignored by her classmates and teachers. Soon, they’re all caught up in a strange phenomenon where the students and their relatives begin to die in mysterious ways. Sakakibara and Mei must find out how to survive after discovering that the killings are related to the death of Misaki in 1972. This anime series is a must watch. Taking place in many areas but mainly in the immense sea of the internet, a very special website can be found and accessed only at the stroke of midnight. The website is know as the Jigoku Tsushin and is rumored that if someone has a grudge, all they have to do is enter a post about that person and they will soon be judged in some of the most scariest ways. In doing so, the Jigoku Shoujo (a little girl) will suddenly appear and drag whoever torments you into the firey depths of hell. 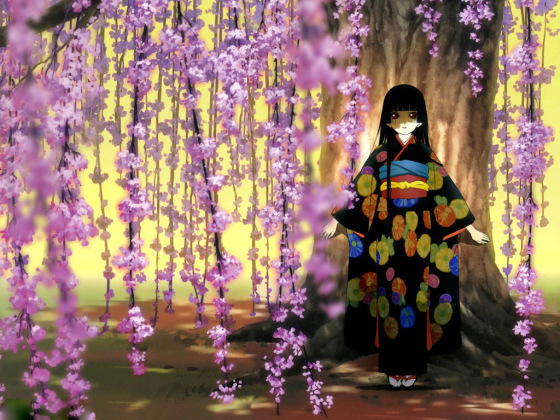 All that is known about the girl is that she lives with her equally mysterious grandmother, has three magical dolls as her servants, and whenever a post on the Jigoku Tsushin moves her emotionally, she becomes the Jigoku Shoujo. This series follows the life of a girl who moves with her family to the hometown of her deceased mother. At her first day of school, her little brother, neighbor, and two others from school decide to visit an abandoned school building next to theirs to discover that it is haunted. After experiencing several encounters with ghosts, the girl learns that her mother was responsible for sealing many of the ghosts who haunted the school and town. The ghosts free themselves because of urbanizations that took place in the surrounding areas and are now terrorizing the school and town once again. The girl’s mother left her book of exorcisms with instructions on how to exorcise the ghosts. This anime follows Mai and her friends who love to tell ghost stories to each other. 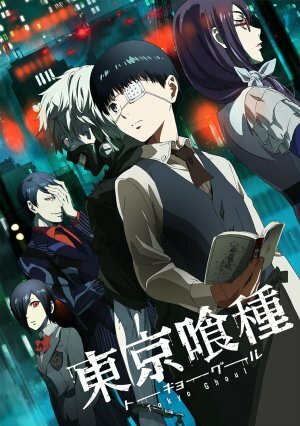 Many of these ghost stories are centered around the abandoned building on the school’s campus and many are more than just stories.Interrupted by a mysterious male during one of their ghost-story sessions, Mai finds out that he is a 17 year old boy named Shibuya, who is president of the Shibuya Psychic Research Company. As a request from the principle of the school, the Shibuya was called in to investigate the stories centered around the abandoned building. 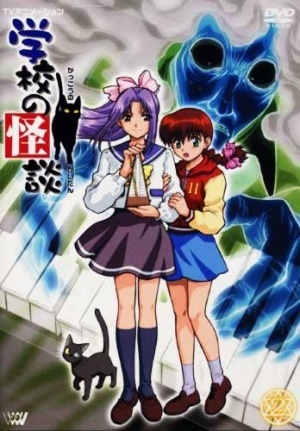 Unknowingly interfering with the investigation, Shibuya hires Mai as an assistant and she begins to learn about the paranormal world and the profession of ghost hunting. 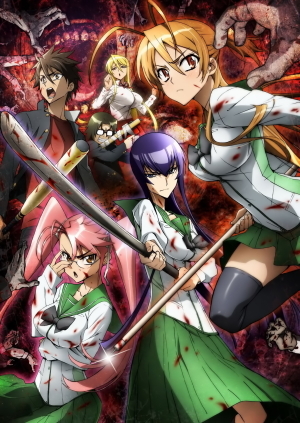 A fan favorite series for all anime lovers, High School of the Dead, is a great horror anime to watch. The series takes place in a world where a mysterious and lethal virus/disease breaks out worldwide, creating a huge death rate that threatens to extinguish all of humanity. Once consumed by this virus, you are killed and become the living dead. 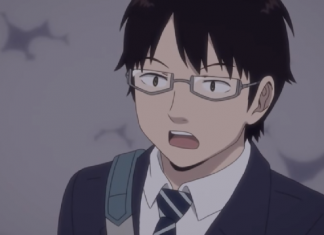 Taking place in Japan, several high school students and staff members have to join forces and escape the high school that is taken over by zombies. After that, the group tries to figure out the origin of the outbreak and how they can survive the present apocalypse. This anime is pretty good, old, but good. 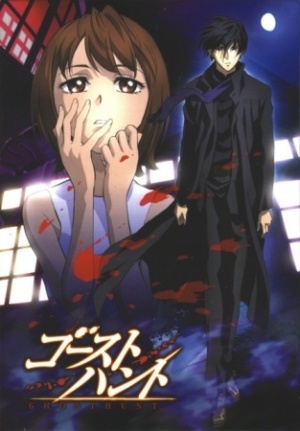 The anime takes place in an unknown city in Japan, about a month after a series of murders occurred and a pillar of light appeared suddenly in the night sky. 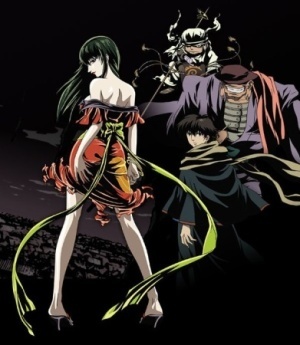 The story centers around certain characters of the anime, who are witnesses of the incident and the consequences that follow. This is when high school students suddenly disappear and everyone blames an urban legend said to be the personification of death, Boogiepop. 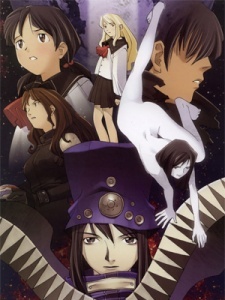 Everyone knows about Boogiepop, if you meet her one night, you will be taken. As people tell each other stories and laugh about it, they don’t really believe that it exists. But still, strange and weird things continue to happen for something lurks in the dark taking many forms. Are you safe? 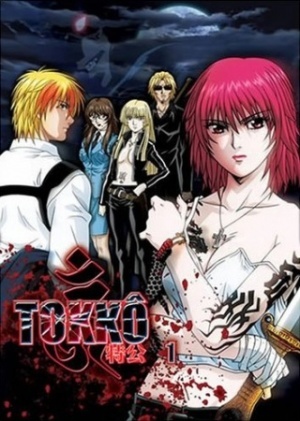 Another great series, Tokkou, follows Shindou as he just graduated from the police academy and assigned to the Special Mobile Investigation Force called, Tokki. The day of his graduation is when he met a half-naked tattooed girl from his dreams wearing a police uniform name Rokujo. Rokujo is a was in the same class as Shindou but in a different force called Special Public Safety Task Force, or Tokki. 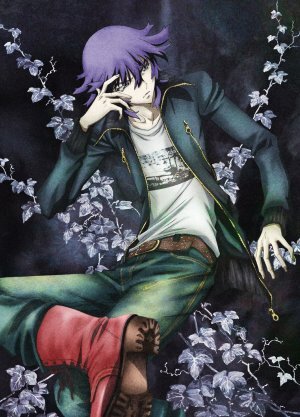 Shindou later joins the Tokki in order to avenge his parents’ death and investigate the mysterious murders of residents from his hometown. During his investigation, bottomless pits begin to appear all over Japan while horrifying creatures begin to emerge from them. 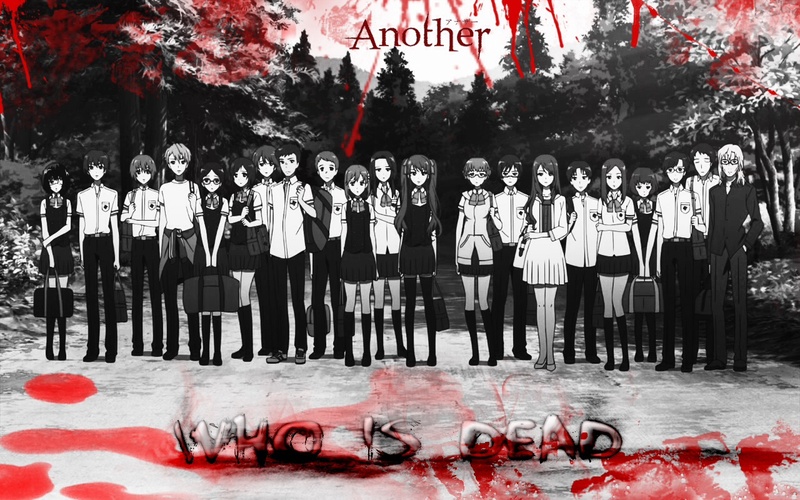 This is yet another great horror anime to watch. This story follows Rin Asogi, an immortal private detective who has a thirst (or addiction) for vodka and a keen talent for attracting things that go BUMP, in the night. In a series of extremely horrific events in a period of sixty-five years, Rin’s beautiful body is sadistically pierced, blown up, and mutilated to a bloody pulp. The perpetrator of her tortured life is Apos, a being obsessed with sacrificing her to the tree of life, Yggdrasil. As she struggles to discover the secrets of her never ending agony, Apos dwindles in the shadows waiting for the right opportunity to tear into her perfect body and consume the memories of her countless lives. Rin is no stranger to the land of the dead, she never knows when her next visit will be permanent. 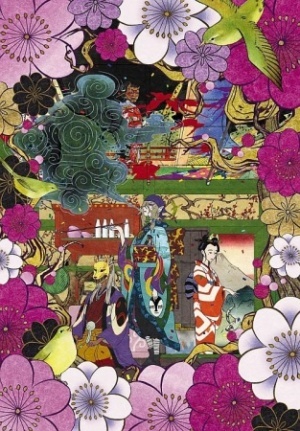 Taking place in 12th century Japan, the story follows Kuro and his servant, Benkei. 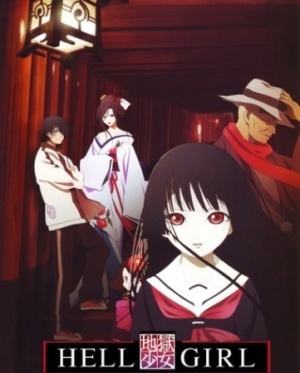 After running away from Kuro’s elder brother who seeks to end his life, they come across a mysterious woman named Kuromitsu. Kuro falls in love with Kuromitsu and later discovers that she has a terrible and horrifying secret. Kuromitsu is a vampiric immortal. 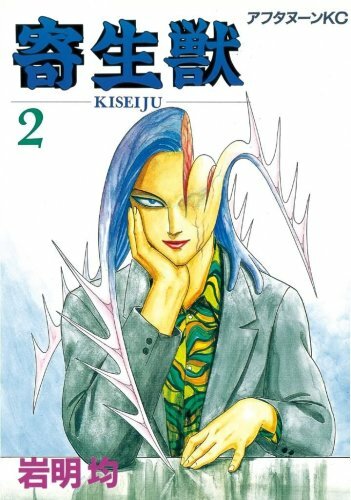 After being betrayed by Benkei, who is part of the Red army, Kuro’s head is severed after ingesting the blood of Kuromitsu, thus, disrupting the transformation process of becoming an immortal. Kuro surprisingly wakes up centuries later in a post-apocalyptic world, where its citizens are oppressed by the Red Army of his past. Quickly found by a revolutionary group called Haniwa, he fights to rid the lands of the Red Army and continue to find his lost love. I highly recommend this series to any fan of horror! This is another anime series loved by all anime fans. The story follows Saya Kisaragi, who is a normal and rather clumsy girl, but kind. 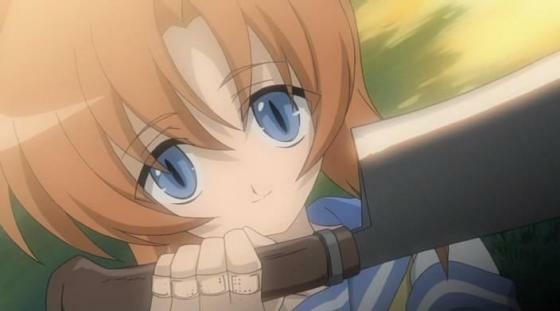 Living with her father, who is the head of the town’s shrine, she learns to be a master swordsman. Because of her great skills, she fights against monsters the plagued her peaceful town with the sword left behind from her missing mother. In her effort to fight off the monsters, she learns the true meaning of her existence and mission in life. 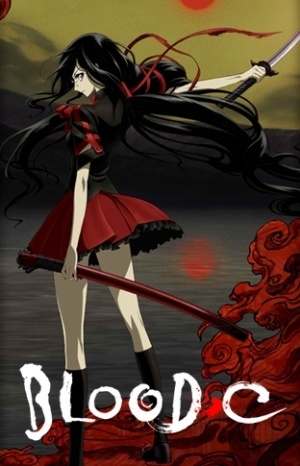 Taking place in the same scenarios as the Blood saga, Blood C present fans with a different storyline and setting to enjoy. This is anime is about two teenagers, Utsutsu and Yume, whose father was an extremely abusive individual. He would beat their mother and the two when he is suddenly fired from his job, leading to divorce from their mother and him leaving the kids. Now as orphans, Utsutsu and Yume continue to survive with Utsutsu promising to look after Yume as long as they’re together. Later on, they see red butterflies and mysteriously become infected with a virus known as Pupa. This virus mutates the human body into ravenous monsters, looking to feed on any form of life. Yume is fully infected by the virus but reverts to her human form, while Utsutsu overcomes the the virus by gaining regenerative powers. He later finds out in order to keep his sister Yume from reverting into a monster, he must take a drug and have his sister feed upon his flesh to survive. The story takes place in the 1990’s, in a normal and quiet Japanese village called Sotoba. Mysterious murders spread throughout the village when a strange and weird family moves into an abandoned mansion. One doctor, Toshio Ozaki, suspects an epidemic and investigates as dead bodies begin to pile up. He is convinced when he learns that this may be the works of the “Shiki”, a vampire-like creature that plagues the village. This is when a young man named Nastuno, is pursued and surrounded by death and from the start, never wanted to live in the village to begin with. 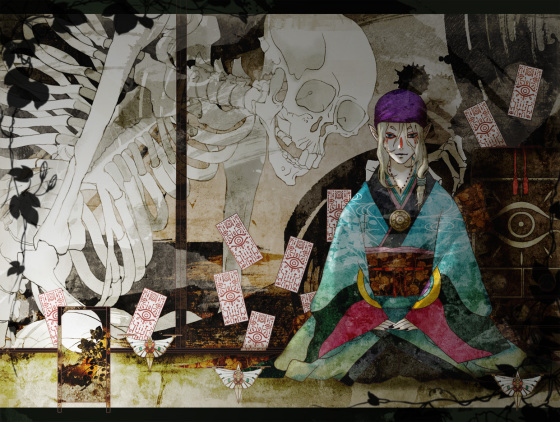 This is an anime that is very good at interpreting some of Japan’s most legendary Ghost stories and folktales. Explore the rich culture of Japan in several storytelling techniques inspired by artistic usage of paper figures and scrolls. 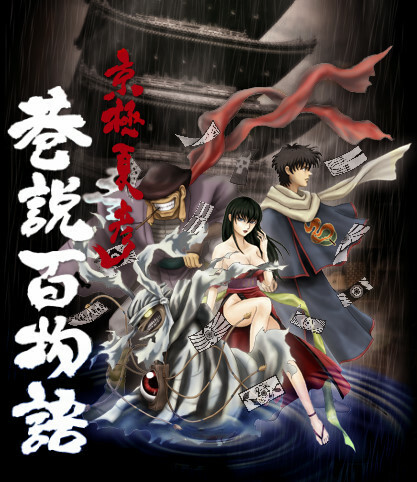 This anime is a picture-story style animation with influences based off of rumors and urban legends throughout the history of Japan. Every week at 5 p.m., an old man appears at a children’s playground to tell ghost stories about these myths and legends. Telling these stories on the back of his bicycle, he has a new tale to tell each week. 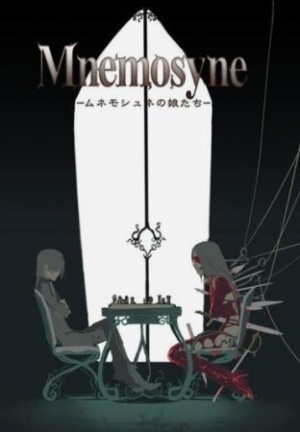 The first season of the anime is completed, with the second season ongoing as I type. Check it out. It’s pretty good! 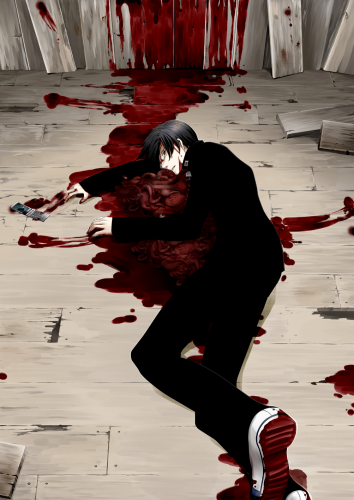 What do you like about horror anime series? Do you watch them with the lights off? Or do you ask a friend to enjoy it with you because secretly, you’re too scared to watch it alone? !